Julia Krüger works on national Internet policies in comparison, aiming on the provision of open and comprehensive information about global Internet policy variations, better and worse practices. She holds an old-fashioned German Diplom in Political Sciences, combining political sciences, sociology, and public law with a strong focus on statistics (University of Potsdam/ King’s College London). 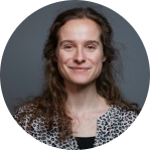 Her professional experiences include: Research and education at the Berlin Social Science Center (WZB), University of Potsdam, and Berlin Graduate School of Social Sciences. She has also worked in capacity development and advocacy at Community Building Mitrovia in Kosovo and the Institute for European Politics in Berlin, as well as in private business for the Association Self-Regulation Information Economy (SRIW).